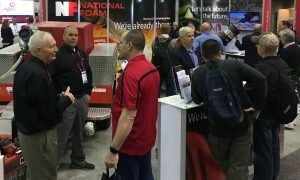 The next Foam Fire Protection Engineering Seminar is on June 4-6, 2019. Please register here. As a participant, you will be among a select group of practicing engineers and technical personnel who are able to earn a certificate of completion for this course. The instruction is concentrated on the capabilities of foam agents, devices, and systems. Proper engineering of foam fire protection systems. 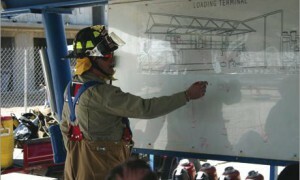 Review of principal guides and standards related to foam system design. The upcoming Engineering Seminar will take place on June 4-6, 2019. 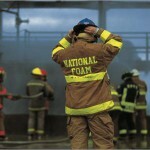 The National Foam Fire Protection Engineering Seminar is the only one of its kind conducted anywhere. As a participant, you will be among a select group of practicing engineers and technical personnel who will be able to earn a certificate of completion this year. For those with NICET (National Institute for Certification of Engineering Technicians) the submittal of your completion certificate will earn 24 continuing education points. The instruction is concentrated and intense, and class size is limited. To take advantage of this opportunity and to avoid disappointment, reserve your place today. Download the Registration Form here.